The project about style with the participation of Russian rap celebrity Timati. Project visitors were invited to select one of the following clothing styles: business, sport, casual or party, and read about it. 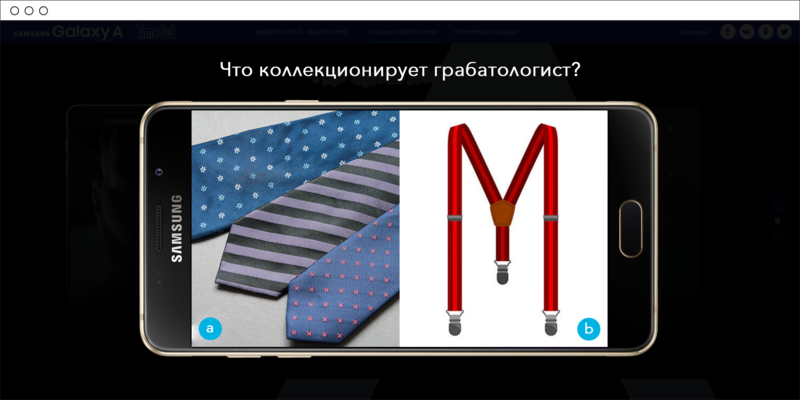 Also, they could check their knowledge about style and fashion by answering questions in the quiz part and have the opportunity to win a prize. The main screen with a slider of different clothing styles. 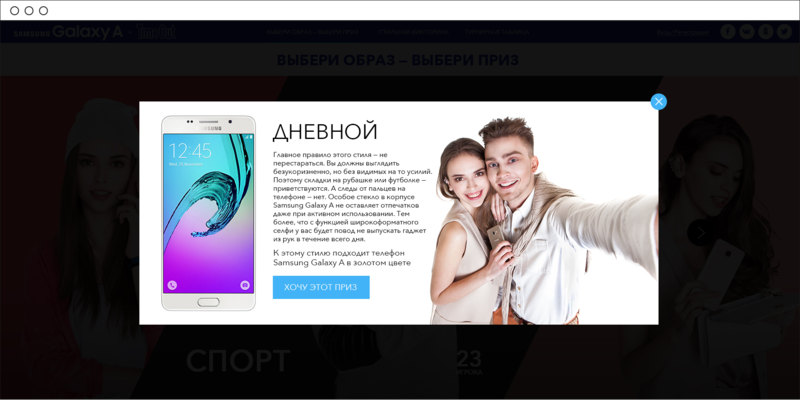 Pop-up with the description of the style. Pop-up with one of the questions. The screen with the tournament table and prizes. The screen with a tournament table and prizes.